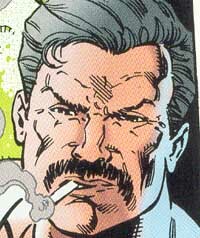 Henri Ducard is a French Private Investigator who trained Bruce Wayne in his younger years. Ducard is a knowledgeable detective with excellent man hunting skills. He was able to pass on much of his knowledge to the young Bruce Wayne. Years later, Ducard also helped train Tim Drake, the third Robin.